This post originally appeared on BetterProjects.net on March 22, 2010. Football season is done. Hockey is going strong and basketball is winding down. Golf has started and Baseball is not far away, either. Beyond the general outlines of the sports seasons, the basic rules for each sport and each sport’s business model, I don’t really know much at all about sports. While I was a huge sports fan during my formative years, especially of basketball as I grew up in Kentucky, sports just isn’t something that captures my attention. However, sports fans do capture my attention very well. It has always been amazing to me how much something as seemingly simple as hitting a small white ball with a stick can capture and enthrall the minds of so many people. It is simply amazing to me that people who might never have played the sport, even as children, can be so concerned with the outcome of every play or possession. There are people that memorize the box scores of every game of multiple teams for entire seasons. They have the brain capacity to recite statistics for games and seasons that happened decades ago. As I said earlier, I grew up in Kentucky, and if you know anything about fans of the University of Kentucky Men’s Basketball, you know that they expect to win every single game of every single season. Losing is not an option in this state. Don’t believe me? Google for commentary of former coach Billy Gillespie versus current coach John Calipari, and you will understand the difference between a coach who wins most of the time and one who wins all the time. While UK fans would be classified as ‘die hard’, they are also very unrealistic. All sports fans want their team to win, but most understand that in all major, recognized sports, someone has to lose. As BAs, its also important to be on a winning team. Thankfully, its our job to make sure that there are no 'losers’ in our projects. Sure, everyone may not always get exactly what or everything they want, but our goal is to make sure that all our stakeholders 'win.’ That’s not just a feeling of winning, or making sure that each stakeholder gets a share of some project pie, but true wins. Even if a stakeholder walks away from a project with nothing that directly changed in their area, if they understand how teams that impacted their business area did receive changes that made the stakeholder’s world better, then a win did occur. One common theme you find that ties together winning teams is talent. Having it does not guarantee success, but not having almost assures failure. That’s not to say that everyone on your team must be a superstar with the ability to play for the 'Pros’, but enough talent to be a constant and reliable contributor to the team. BAs need to have talent as well. Some skills can be learned, but some people just have innate talent for certain tasks or roles that make them ideal for certain jobs. When I am on a project, you want me involved in communication, stakeholder relations, process diagrams and product demonstrations. These are areas in which I am highly skilled. BAs need to know how to do a lot of different things, but at the end of the day, know your talents and how to employ them effectively. As Michael Jordan found out the hard way, being a superstar at basketball doesn’t make you a masterful baseball player. Always be on the lookout for people who might have talents that your team is lacking. If you keep getting tripped up by details, find someone who loves to pour over documents looking for clues and holes. Find someone who knows how to organize a process and will relentlessly focus on crossing every T and dotting every I. Every fan has some team they care about at least a little bit more than all other teams. Most every fan also has some team they wish never played another game. Many times the majority of fans for one team dislike some other team. Know that your project is your favorite team. You devote yourself to it, you pour yourself into it and you would do anything to see it succeed beyond anyone else’s wildest dreams. At the same time, there is someone else out there on a different project who thinks your project is the biggest waste of time ever conceived. If your project loses all its resources to their team, they will be ecstatic to see you fail. As BAs, we should strive to never let poor gamesmanship enter our minds. Just as we work hard so our team wins, we also need to hope everyone else’s projects are equally as successful. Even if we are competing for shared resources, nay, especially when we are competing for shared resources, we must focus on the fact that each team’s win is not just a win for that team, but for everyone involved in projects in general and for the company as a whole. Just as UK has been a perennial basketball powerhouse, they have also been a perennial football also ran. Its not that the football team is especially untalented, although there have been some really bad seasons, but that its competition is usually filled with superstars. 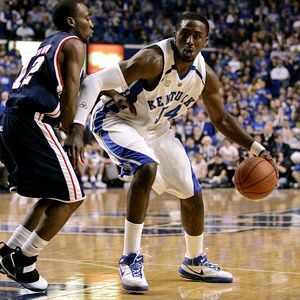 The Southeastern Conference (SEC) is a football conference, despite the presence of a basketball team like UK. Because UK has historically focused more on basketball than football, even the best football seasons for the school have been lackluster given their tough competition. But one thing playing such incredible competition does do is that it forces you to step up and bring your best every week in order to not be completely blown out. My first project as a BA taught me the very same lesson. The project was high profile, it touched almost every part of the business and the money involved for the project was more than most small companies made during the same time period. With the future of the division on the line, we were under constant stress to perform at our best. Yes, we were the top talent from all over the division who were brought together to win this game, but the consultants we worked with on a daily basis were some of the best in the industry. If we didn’t bring our 'A’ game, we would go down. Hard. It is in situations like that where I believe we learn the most about ourselves as analysts. While I went into that project with a lot of domain knowledge, my BA knowledge and skills were rudimentary at best. By watching the experienced BAs and consultants work their magic, I learned so much about what it meant to be a great 'player’ in my chosen profession. So what about you sports fans out there? What lessons can true fans like you teach us about being a BA? Picture courtesy of Kentucky Sports Radio.